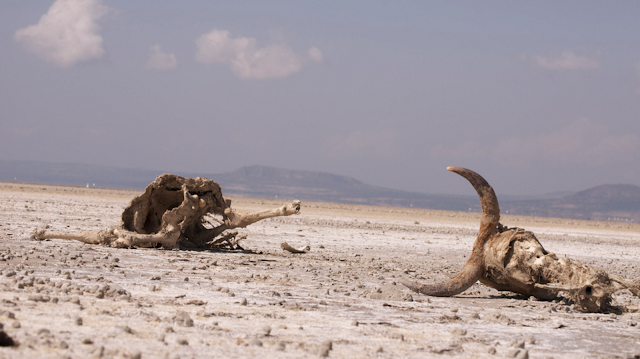 East Africa is currently experiencing the worst drought in fifty years. In Ethiopia alone, some 5.6 million people are suffering severe hunger. German Development Minister Gerd Muller will today visit one of the worst hit areas of the country, the Somali region, which lies in the east of Ethiopia. The nomadic people living there can find virtually no grazing land for their herds and their very livelihood is under threat. Around 1.7 million people in the Somali region are already in dire need of food aid. In view of the current crisis in Ethiopia, and in the entire Horn of Africa region, Minister Muller has announced that his ministry will be providing another 100 million euros in support of the countries affected. That will bring the total amount provided to the region this year by the German development ministry to help it combat the effects of the drought to 300 million euros. "Ethiopia has learned from previous droughts and took adequate precautions. Yet the scale of the current drought is too great for Ethiopia, and indeed the entire region, to cope with. In South Sudan, Somalia, Niger, Kenya and Cameroon, people are dying of hunger because the international community has responded too late and because money is not flowing quickly enough. Funds were not released until the disaster was already inevitable. If we thought we would never again see a famine like the one in 2011, then we've been proved very wrong. We need a permanent UN disaster fund and we need it fast," said Muller just before his visit. In the Somali region, he will be visiting a settlement where people who have fled the drought are provided with basic essentials, above all clean drinking water, food and healthcare. In the evening, ambassadors from the African Union will inform the Minister about the affect the drought is having on their countries. Ethiopia is one of the East African countries hardest hit by the current drought, which has been causing a food crisis since autumn 2015. Since that time, the BMZ has provided just under 74 million euros in additional emergency support for Ethiopia for food security, health care, and water and sanitation. Farmers who have been affected by the drought are also being helped to procure new seeds and fodder.Tomorrow, Tuesday, Minister Muller will be meeting Ethiopia's Minister of Finance and Economic Development, Tekeste Abraham. They will be discussing the drought and also Minister Muller's proposed Marshall Plan with Africa, which he will then also be discussing at an event with the chairperson and several commissioners of the African Union. In the afternoon, a visit is planned to a textiles factor near Addis Ababa, before the Development Minister leaves for India and Pakistan.